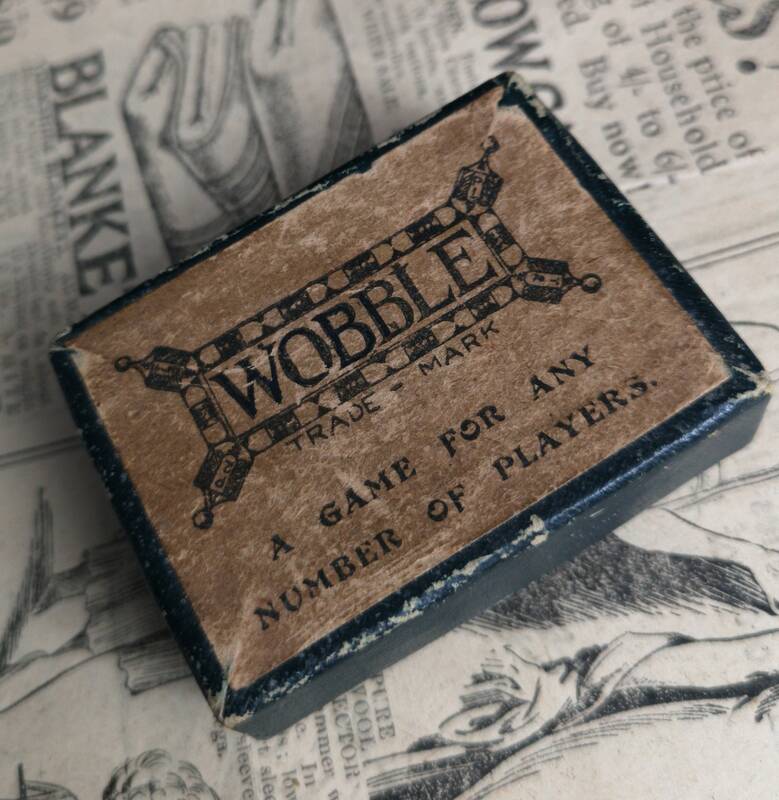 A very scarce antique Wobble game. 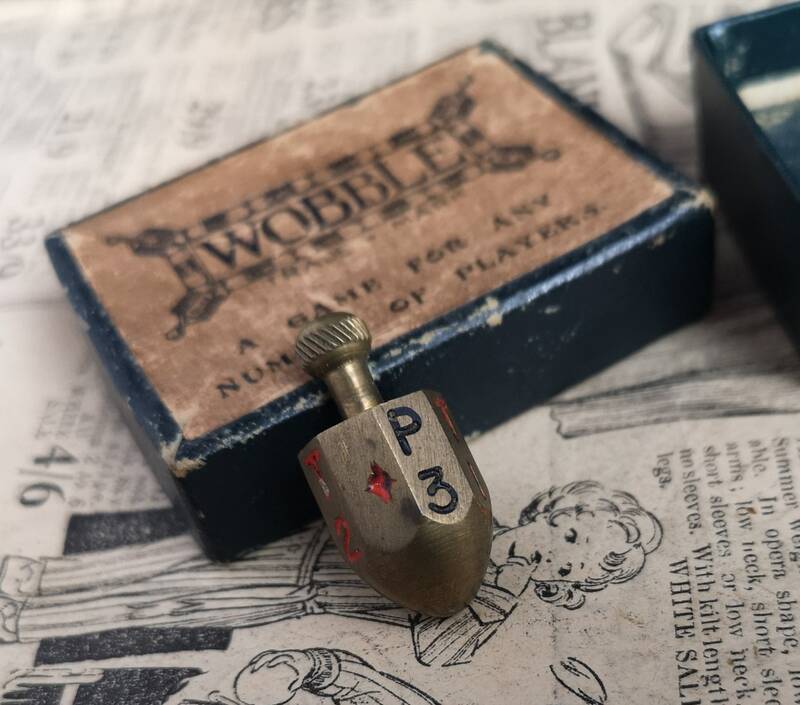 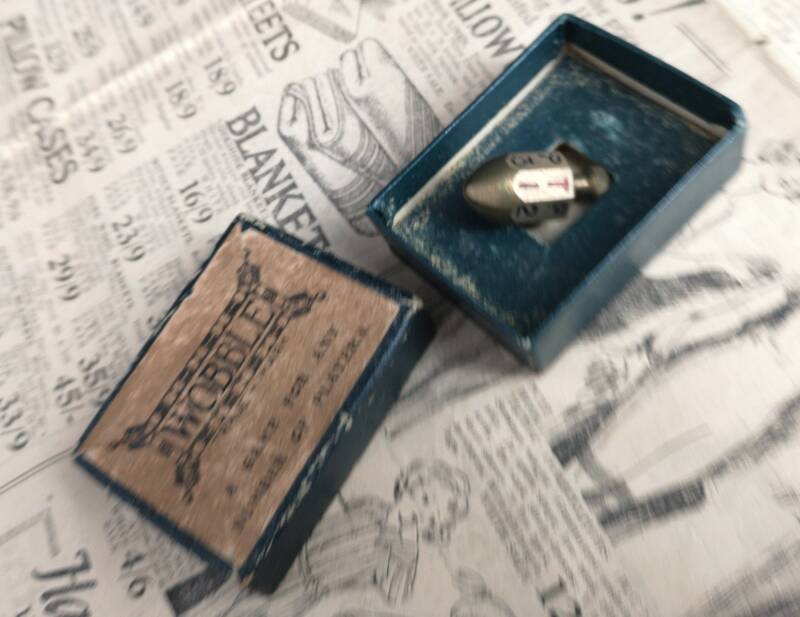 An early multiplayer, point scoring game using a single solid brass and enamelled 'wobble' which kind of resembles a tiny brass spinning top. 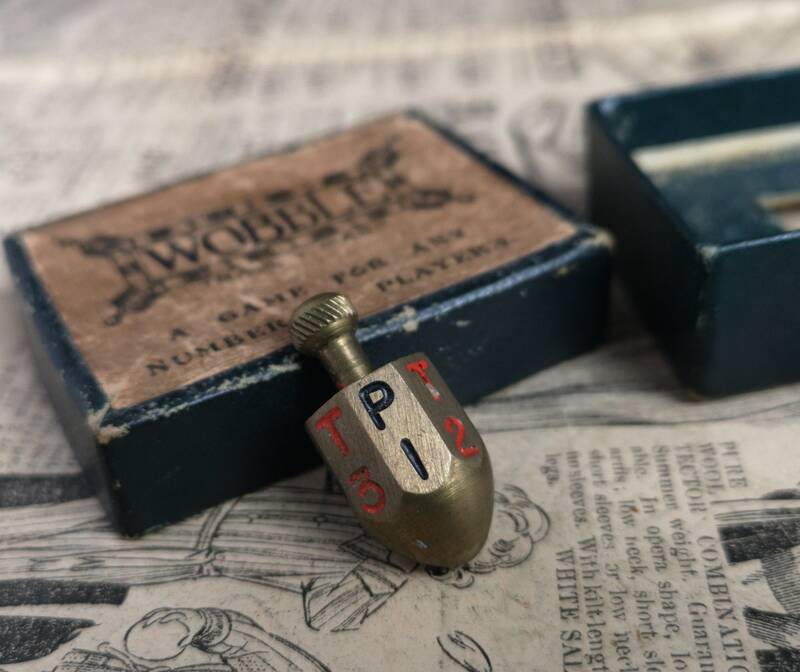 There are red and black enamelled numbers, letters and symbols which determine the points per player and subsequent winner. 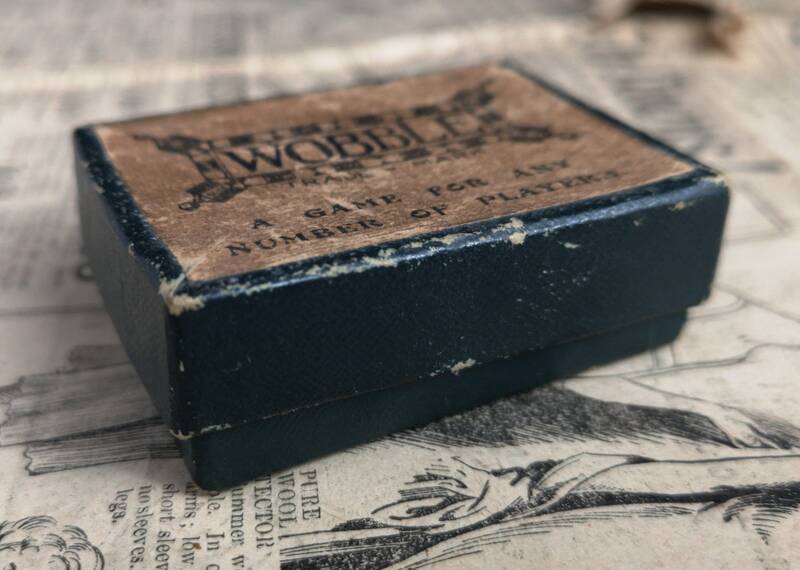 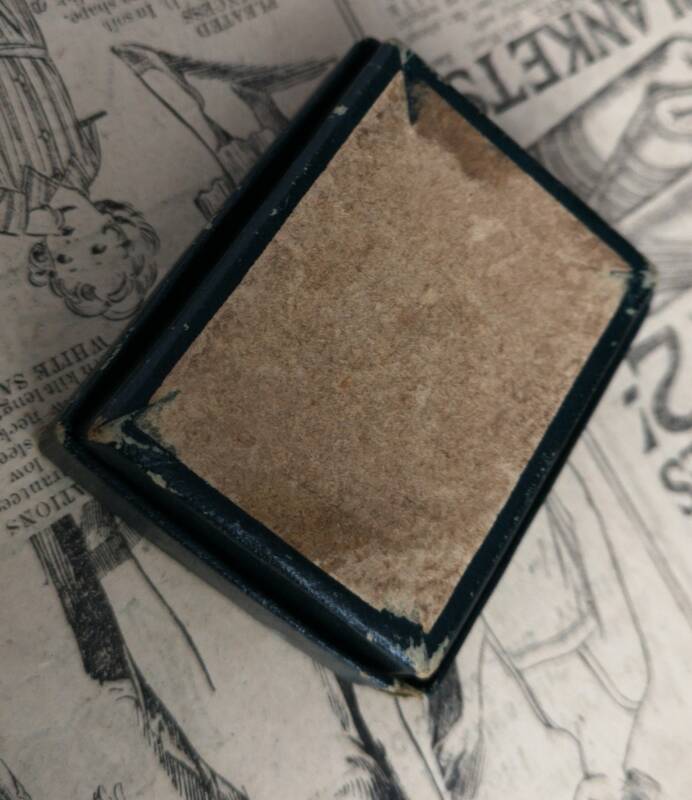 It is a game for any number of players as it states on the box, comes in the original box, no instructions, some play wear and wear on the enamel.